Your vehicle is one of your biggest assets. Protect it with state-of-the-art 3M paint protection film professionally installed by the automotive detailing specialists at Car Detailing Shop. While damage to your vehicle’s exterior paint does not affect its performance, it can have an adverse effect on the car, truck, or SUV’s resale value. After driving your vehicle for many years, and putting tens of thousands of kilometers on the odometer, automotive paint damage is often unavoidable. However, 3M paint protection products provide comprehensive protection from stone chips, scratches, bug and tar damage, weathering, and other damages and imperfections that can greatly reduce the value and aesthetics of your prized vehicle. The team of automotive detailing and paint restoration experts at Car Detailing Shop can help you avoid these damages and imperfections with the application of cutting-edge 3M paint protection film. 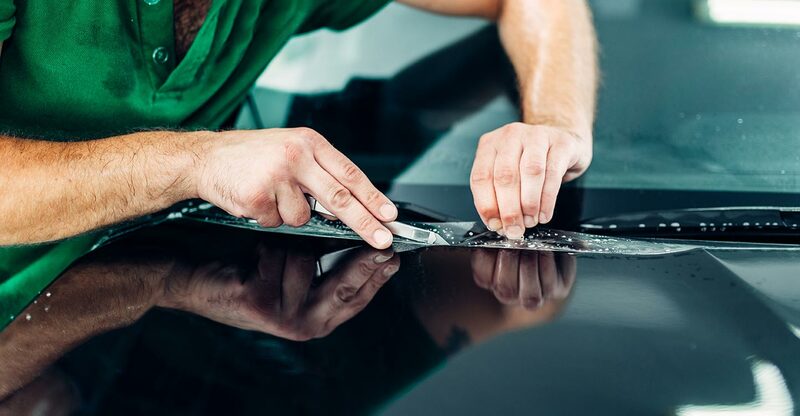 With diligence, keen attention to detail, and an undying commitment to providing quality workmanship, Car Detailing Shop installs paint protection film to all makes and models to offer the ultimate solution. No matter what type of vehicle you drive – whether it’s a small compact car or large truck of SUV – the dedicated automotive detailing and paint protection team at Car Detailing Shop is equipped to provide 3M’s patented paint protection product. At Car Detailing Shop, we understand the vital role your vehicle plays in your day-to-day life, which is why we make it our mission to help it look and performance at its best at our indoor facility in Vaughan. Why Choose Car Detailing Shop? 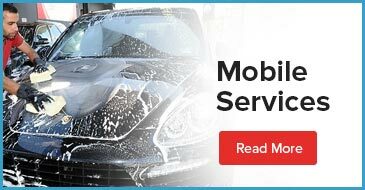 For many years, Car Detailing Shop has been serving vehicles owners throughout the Greater Vaughan Area with exceptional vehicle protection and automotive detailing services to keep one of their biggest assets looking great! Every vehicle we look after at our indoor facility or with mobile services is attended to with an undying commitment to delivering high-quality products and outstanding customer service. Call us today to book your appointment for your 3M paint protection film installation or to receive your quote. Got a question about 3M paint protection product? No problem! We are eager to hear from you.